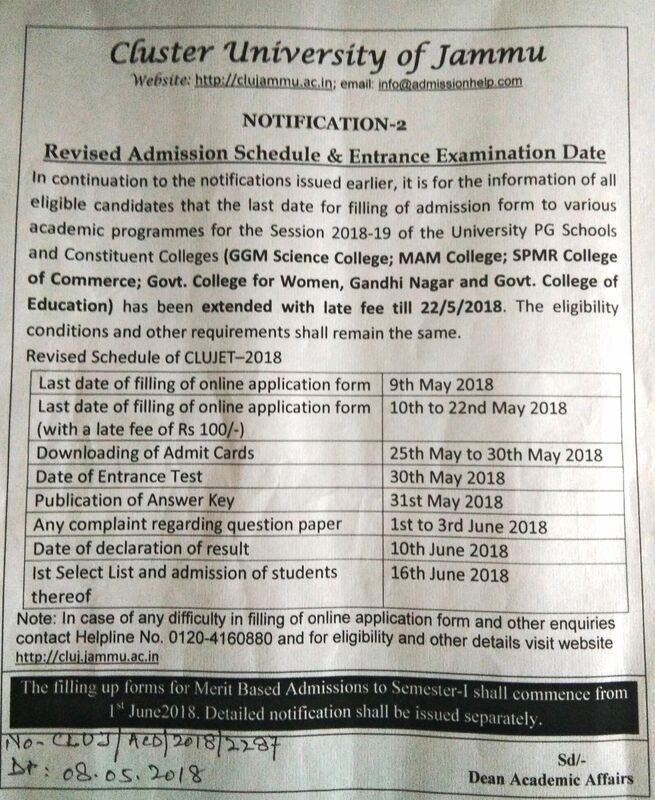 41 Notice for candidates appearing in written test on 14th, 15th, 16th & 17th November, 2018. 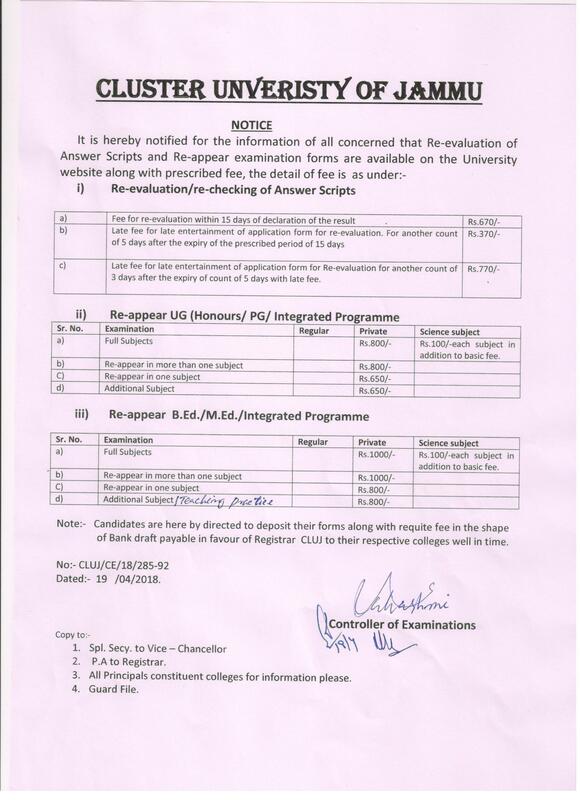 138 Notice : Re-evaluation of Answer Scripts and Re-appear examination forms are available on the University webiste along with Prescribed fee. 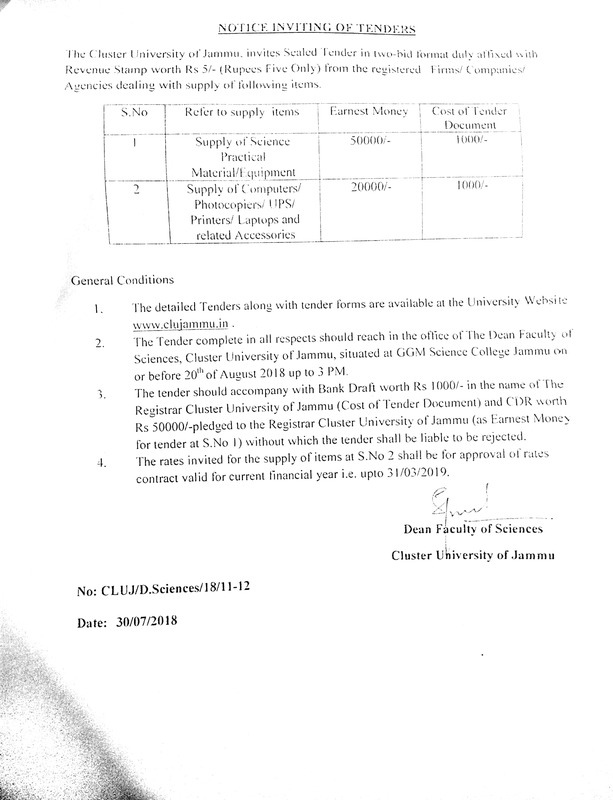 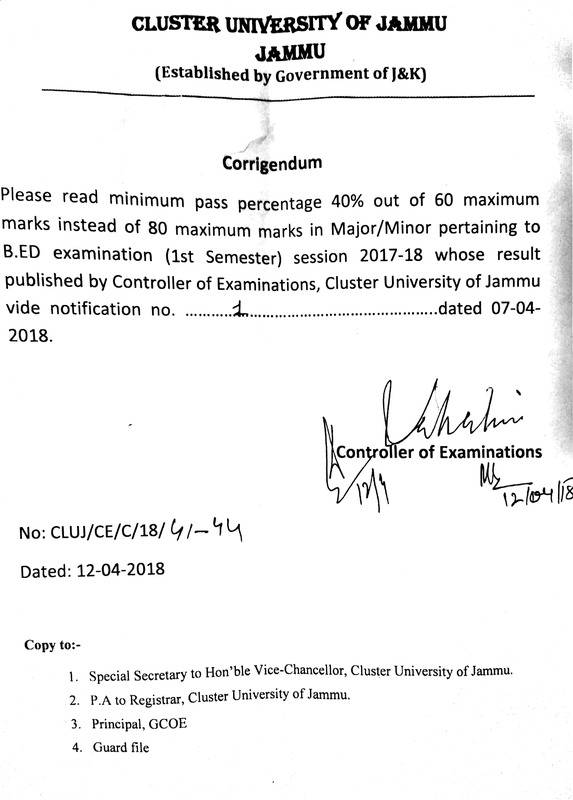 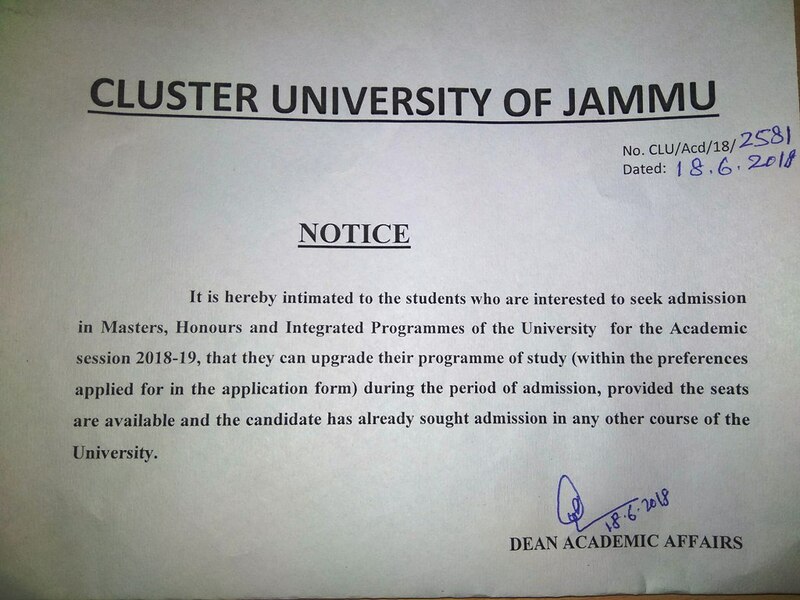 141 Advertisement Notice : Recognition as Principal(s) of Constituent Colleges of the Cluster University of Jammu.